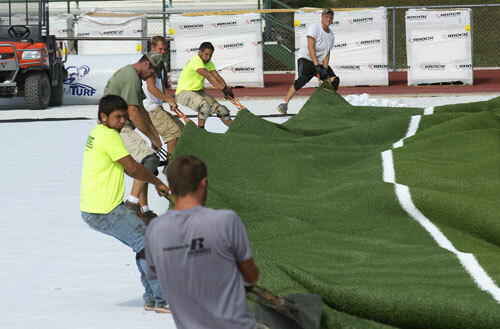 Construction crews installed the artificial turf at Allgood-Bailey Stadium the first week of August. The Miners play their first home football game on Saturday, Sept. 20. Crews also began installing turf on the intramural field this summer. The fields are striped for both soccer and football. Students created water rockets from empty plastic bottles and launched them into the sky over campus during this summer’s Aerospace Camp. 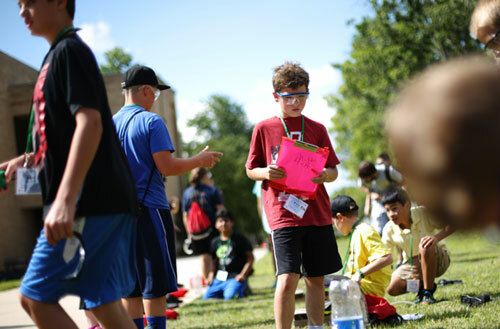 It was just one of 17 summer camps Missouri S&T hosted for kids from first grade through high school. The University of Missouri Board of Curators approved revenue bond financing for a new 450-bed apartment-style housing complex near the Residential College. The Quad residence halls, constructed in the 1940s through 1960s, will be razed as part of the project. 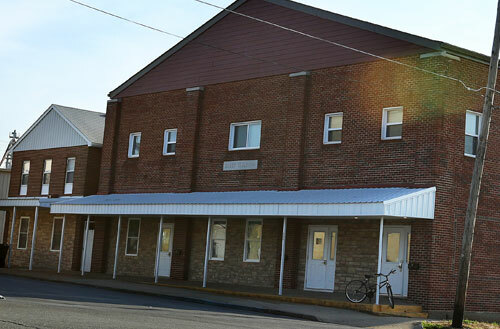 In the meantime, many students now reside in the new downtown campus housing district, which is home to the Sally Building on North Elm Street. 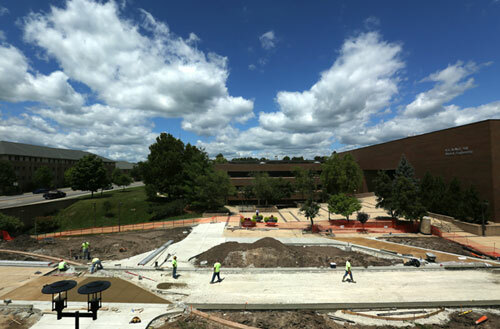 Construction crews are working on a new pedestrian walkway, called the Havener Promenade, between the Havener Center and McNutt Hall. The area will feature attractive landscaping and enhanced lighting. 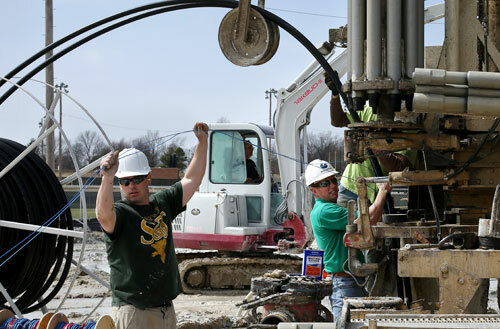 In the works since 2012, the geothermal system is officially up and running. It supplies heating and cooling to 17 buildings on campus and chilled water to the majority of campus buildings. The Power Plant, built during World War II, was decommissioned in May. 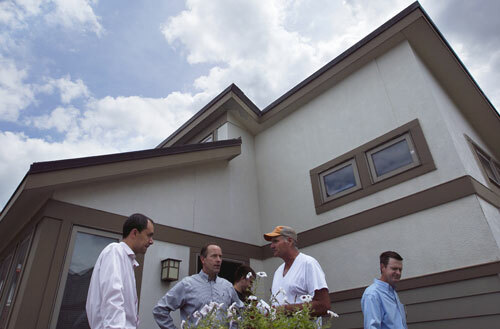 People tour one of the four houses in the Solar Village during the microgrid ribbon-cutting dedication on July 17. The microgrid connects all four solar houses to create a self-sustaining power supply. 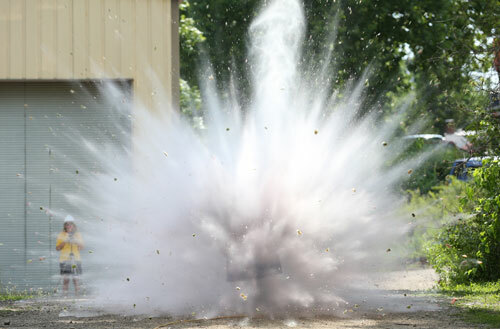 Missouri S&T now offers the nation’s first Ph.D. in explosives engineering, where students can safely learn to blow things up. Things like this watermelon, which fell victim to a demonstration at Explosives Camp at the Experimental Mine. The eBus waits for passengers to board outside of the Havener Center during the opening weekend at Missouri S&T before shuttling people across campus. 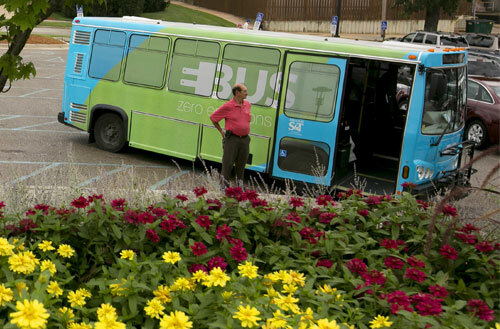 The eBus is a fully electric powered, plug-in shuttle bus, complete with its own charging station on campus. 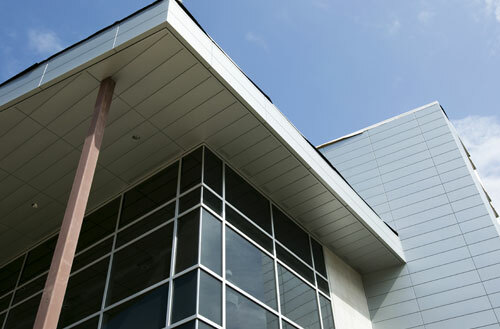 The majority of work on Missouri S&T’s new 68,500-square-foot chemical and biochemical engineering building, James E. Bertelsmeyer Hall, was completed during the summer in preparations for fall classes hosted inside. More than 300 elementary school, middle school and high school teachers from across the country spent part of their summer at Missouri S&T learning to teach engineering and biomedical science courses to their students through Project Lead The Way. 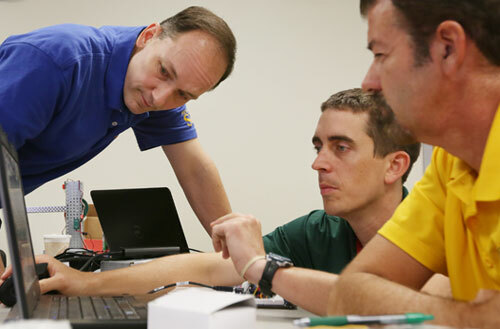 Joe Stanley, associate professor of electrical and computer engineering (left), leads a course in Butler-Carlton Civil Engineering Hall. Go Charlie! Great job on the geothermal project! Bertelsmeyer Hall was not completed over the summer, it is still under construction. Thanks a lot for the correction about the level of completion of Bertelsmeyer Hall. They didn’t even start putting the turf on the intramural field until the fall semester started up and it’s still not ready for use.